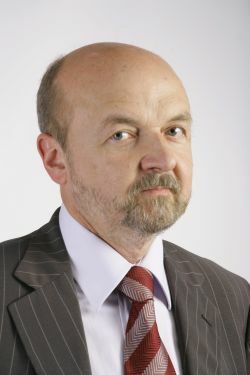 Ryszard Legutko patří k nejvýznamnějším současným evropským politickým filosofům a je čerstvým poslancem Evropského parlamentu. Informace na webu Polského institutu. ANKETA: Koho jste volili do Evropského parlamentu? Je pátek 5. 6. 2009 večer, pomalu končí první den voleb do Evropského parlamentu. Koho jste volili do Evropského parlamentu v roce 2009 (nebo ještě budete volit)? Seznam stran je vytvořen podle této stránky. Známější strany (dle mého uvážení) jsem uvedl jako zkratky. Pojďme se podívat na jeden konkrétní příklad. Tato zpráva odsuzuje různé světové totalitní režimy a diktátory. Liberální skupina ALDE předložila následující dodatek k paragrafu 45, kterým by se do tohoto kontextu, tj. mezi pošlapávání lidských práv, vložilo odsouzení papežových slov o vhodnosti kondomů jako prostředku proti AIDS v Africe a zdůraznění významu tzv. sexuálních a reprodukčních zdravotních práv, což je termín označující dostupnost potratů a antikoncepce. Zpráva nemá žádnou právní závaznost, nicméně má pochopitelně nezanedbatelný vliv na politiku národních vlád. Celkem má EP 784 členů. Z nich bylo 209 nepřítomno a 61 nehlasovalo. Poslanci České republiky hlasovali shodně pro a proti, byli tedy poněkud více pro dodatek, než parlament jako celek. Jejich nepřítomnost byla nadprůměrná. Následuje přehled hlasování jednotlivých poslanců. Pro mne je to užitečná předvolební informace. Celý text projevu Baracka Obamy v Praze, 5. dubna 2009. Full transcript of the Barack Obama’s speech in Prague, April 5th, 2009. Thank you for this wonderful welcome. Thank you to the people of Prague. And thank you to the people of the Czech Republic. Today, I am proud to stand here with you in the middle of this great city, in the center of Europe. And – to paraphrase one my predecessors – I am also proud to be the man who brought Michelle Obama to Prague. I have learned over many years to appreciate the good company and good humor of the Czech people in my hometown of Chicago. Behind me is a statue of a hero of the Czech people – Tomas Masaryk. In 1918, after America had pledged its support for Czech independence, Masaryk spoke to a crowd in Chicago that was estimated to be over 100,000. I don’t think I can match Masaryk’s record, but I’m honored to follow his footsteps from Chicago to Prague. For over a thousand years, Prague has set itself apart from any other city in any other place. You have known war and peace. You have seen empires rise and fall. You have led revolutions in the arts and science, in politics and poetry. Through it all, the people of Prague have insisted on pursuing their own path, and defining their own destiny. And this city – this Golden City which is both ancient and youthful – stands as a living monument to your unconquerable spirit. We are here today because of the courage of those who stood up – and took risks – to say that freedom is a right for all people, no matter what side of a wall they live on, and no matter what they look like. We are here today because of the Prague Spring – because the simple and principled pursuit of liberty and opportunity shamed those who relied on the power of tanks and arms to put down the will of the people. We are here today because twenty years ago, the people of this city took to the streets to claim the promise of a new day, and the fundamental human rights that had been denied to them for far too long. Sametová revoluce – the Velvet Revolution taught us many things. It showed us that peaceful protest could shake the foundation of an empire, and expose the emptiness of an ideology. It showed us that small countries can play a pivotal role in world events, and that young people can lead the way in overcoming old conflicts. And it proved that moral leadership is more powerful than any weapon. That is why I am speaking to you in the center of a Europe that is peaceful, united and free – because ordinary people believed that divisions could be bridged; that walls could come down; and that peace could prevail. We share this common history. But now this generation – our generation – cannot stand still. We, too, have a choice to make. As the world has become less divided it has become more inter-connected. And we have seen events move faster than our ability to control them – a global economy in crisis; a changing climate; the persistent dangers of old conflicts, new threats and the spread of catastrophic weapons. To protect our planet, now is the time to change the way that we use energy. Together, we must confront climate change by ending the world’s dependence on fossil fuels, tapping the power of new sources of energy like the wind and sun, and calling upon all nations to do their part. And I pledge to you that in this global effort, the United States is now ready to lead. To provide for our common security, we must strengthen our alliance. NATO was founded sixty years ago, after Communism took over Czechoslovakia. That was when the free world learned too late that it could not afford division. So we came together to forge the strongest alliance that the world has ever known. And we stood shoulder to shoulder – year after year, decade after decade – until an Iron Curtain was lifted, and freedom spread like flowing water. This marks the tenth year of NATO membership for the Czech Republic. I know that many times in the 20th century, decisions were made without you at the table. Great powers let you down, or determined your destiny without your voice being heard. I am here to say that the United States will never turn its back on the people of this nation. We are bound by shared values, shared history, and the enduring promise of our alliance. NATO’s Article 5 states it clearly: an attack on one is an attack on all. That is a promise for our time, and for all time. The people of the Czech Republic kept that promise after America was attacked, thousands were killed on our soil, and NATO responded. NATO’s mission in Afghanistan is fundamental to the safety of people on both sides of the Atlantic. We are targeting the same al Qaeda terrorists who have struck from New York to London, and helping the Afghan people take responsibility for their future. We are demonstrating that free nations can make common cause on behalf of our common security. And I want you to know that we Americans honor the sacrifices of the Czech people in this endeavor, and mourn the loss of those you have lost.